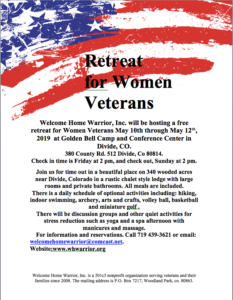 Welcome Home Warrior, Inc. will be hosting a free retreat for Women Veterans May 10th through May 12th, 2019 at Golden Bell Camp and Conference Center in Divide, CO.
380 County Rd. 512 Divide, Co 80814. 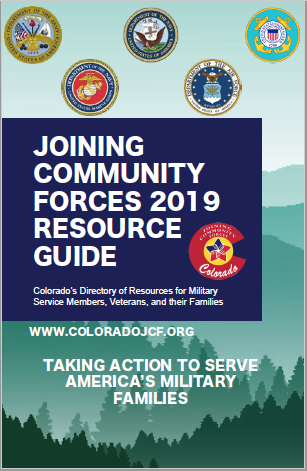 Check in time is Friday at 2 pm, and check out, Sunday at 2 pm.